Project Goal: Preserve the remaining remnants of the dry coastal forests of Ecuador through outreach that catalyzes government conservation action and improves individual landowner stewardship. 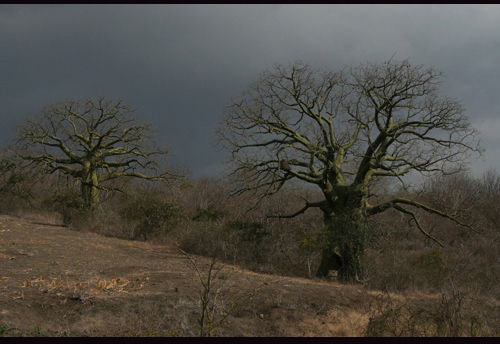 The Ecuadorian dry forest is one of the most threatened terrestrial ecoregions in the world. The forests have undergone widespread degradation and loss due to agricultural land development and urban growth. They are within the Western Tumbesian-Andean Valleys Dry Forest global ecoregion, an area assigned a WWF conservation status of Critical/Endangered. ​Preserving the few remnants of Ecuadorian Dry forest is vital to the environmental health of the coastal region. To achieve this goal, this project educated citizens, local and federal government about how ongoing and long-term protection of the coastal dry forests maintain essential ecosystem services to the coast. The project also instilled coastal populations and the local and federal governments with a strong sense of ownership over and concern for the biological richness and high endemism of the dry forests. Finding Species photo-documented rare coastal species, and created materials about these species and habitats to feature in exhibits, books and presentations. After ensuring greater knowledge of the biological heritage and ecosystem services, Finding Species and its partners has worked with the local and federal governments to put more dry forest lands under legal protection and to improve forest management by individual landowners. Collaborators in this initiative are Finding Species, the Government of the City of Guayaquil, The Nature Conservancy, Pantanal Zoo, Fundación ProBosque, Fundación Ecológica Rescate Jambelí, and Parque Histórico Guayaquil. 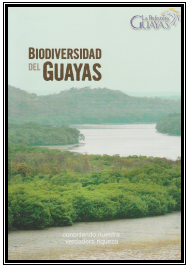 While In collaboration with the Local Government of Guayas Province and Poligrafica Press we published the book “Biodiversidad del Guayas: conociendo nuestra verdadera riqueza” (Biodiversity of Guayas: knowing our true wealth) a 224 pages book with images and texts describing the five most important ecosystems in the province. Cloud forests, dry forests, Guayas River, mangrove and coastal marine systems. This five-chapter book describes Guayas biodiversity and landscapes for decision makers and stakeholders in order to shift the traditional idea that the province is merely dedicated to agriculture production and industries. Biodiversity of Guayas depicts the unknown biodiversity where the human population resides and depends upon.